A family of GMI products that embodies the interconnection and automation values of the fourth industrial revolution. It is a complete range of hardware and software solutions that aim to increase the productivity of embroidery machines and transform them into Industry 4.0 companies*, which are more competitive, automated and digital. The software reads, writes and displays embroidery machine files (dst, dsz, dsb, tbf, zsk_tc, fdr_hd, ela, exp and more), generated by Stilista or a third-party software, and GMI files (emg, emg2), prints worksheets and sends the designs to the embroidery machines. The system allows to send, via network, the embroidery to machines of any brand, with USB or serial port. Alternatively, transmission can take place by reading a barcode generated by the GMI software and printed on the worksheet. Automation makes the production process leaner and leads to the elimination of keys and diskettes. 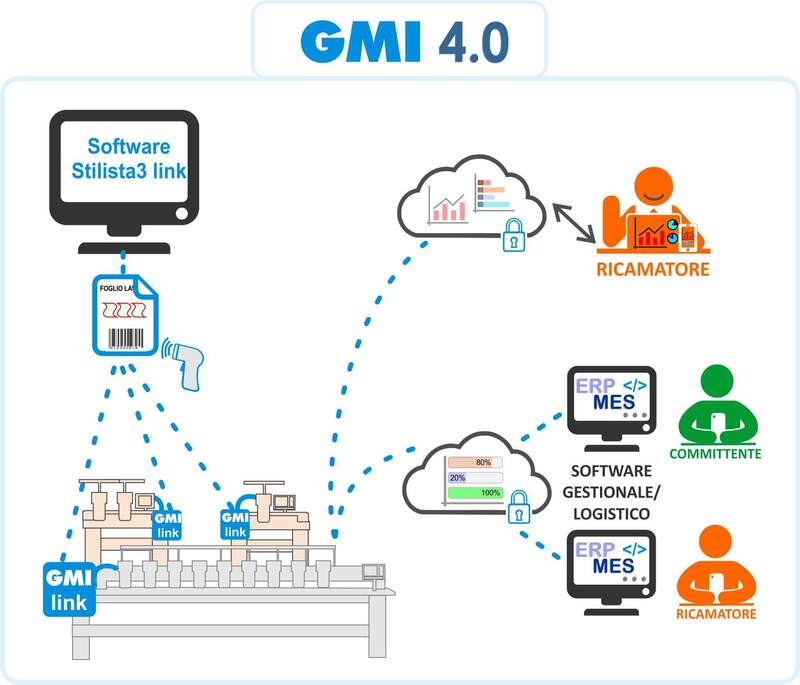 With the GMI link device, a stitch count sensor and a barcode reader, which scan the barcode printed on the worksheet generated by the Stilista3 link software, the customer can monitor the real time order status in a cloud platform (web page with password). 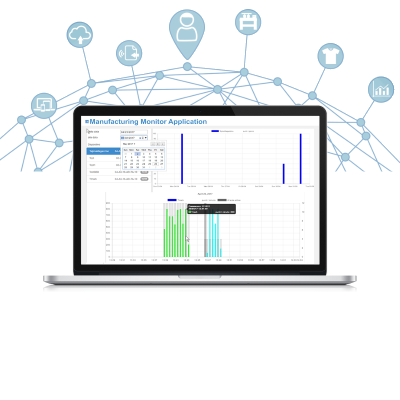 Web solution with exclusive access, where the embroiderer / production manager can see, in real time, and from any device connected to the internet, the production status of embroidery machines, analyze productivity statistics, the status of job orders and production history. Furthermore, taking into account the data entered by the operator and the yields of the machines registered by the production control, the software calculates the estimates of each job order or embroidery. By analyzing all these data, the embroiderer can more easily program production, for example, decide which machine to perform a job order with. All this translates into greater efficiency and greater profits.